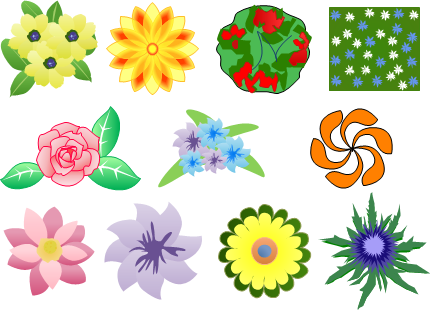 Offers a group of nice flower shapes that are in vector format, easily customizable and fully integratable with MS program. 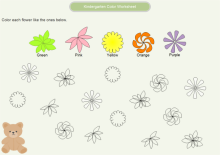 Users can edit the flower shapes into various styles according to users' specific needs. Drag the green handles to resize them; change the fill color and combine them with other shapes and so on. 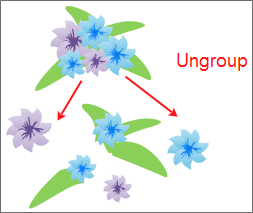 If one shape consists of several shapes, you can ungroup it to form new shapes. 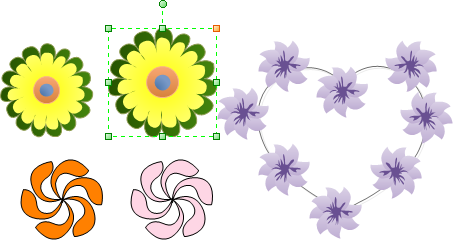 Included are vector flower shapes that are pre-draw so that users just need to drag and drop to use them. 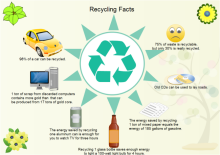 Since they are 100% compatible with MS Office, users can directly copy and paste them into PowerPoint, Word and Excel. 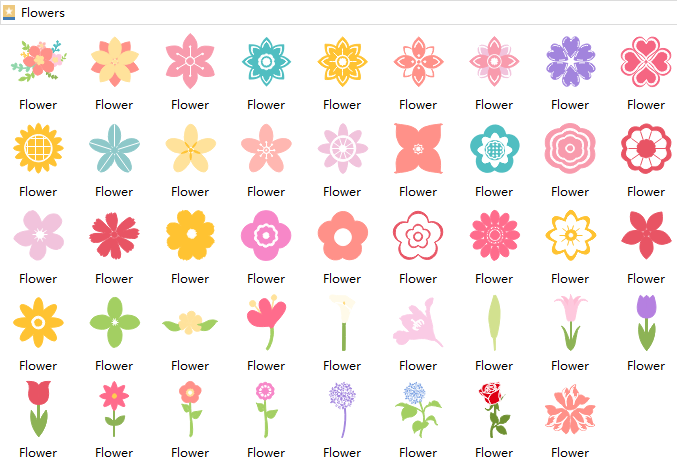 Use these flower shapes to add charm to your diagrams or presentations. They will make your ideas clearer and your presentation more attractive. 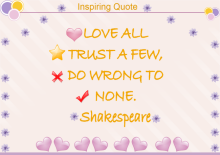 See some nice-looking examples below. 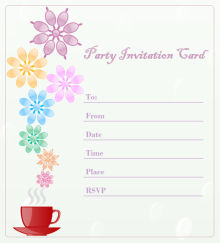 You can combine other shapes to design flower shapes or use our Pen or Pencil tools to draw your own custom ones. With over 10,000 shapes, you can unleash your creativity freely. 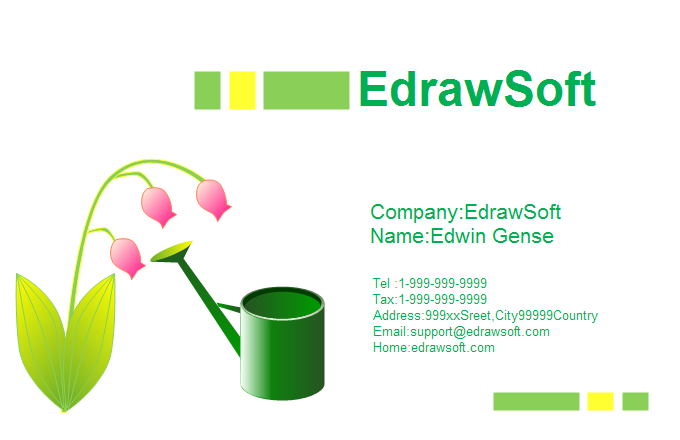 Gain limitless possibilities in diagramming with Edraw. See some examples below. Click on the pictures to view large versions or download them. 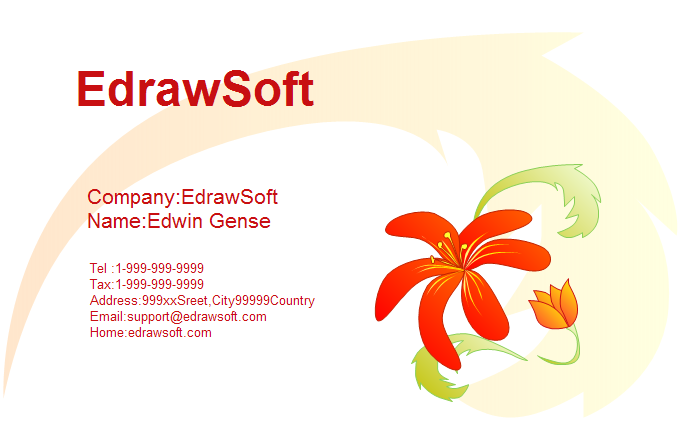 Find out why Edraw Software is the best choice to create graphics. Try Edraw Max FREE.